About four years ago, I began a new phase of my career as a consultant / teacher. 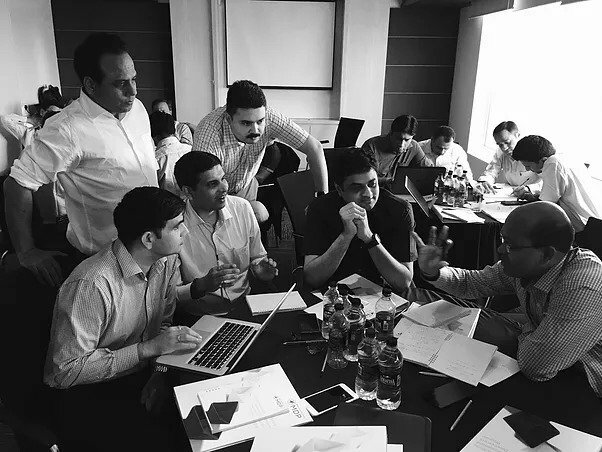 My focus was on helping other managers learn how to be more strategic in their thinking, and making them realize that knowledge of strategy is essential for everyone in the organisation. Even as I developed various cases and exercises for these programs, I observed that most participants of the programs struggled with (what I thought was) the basic analysis required for arriving at any of the decisions. Soon, I was conducting quick tutorial sessions on simple financial concepts and analytical tools as part of each strategy program. It was obvious that managers with considerable experience and decision making responsibilities were lacking the knowledge of the metrics and tools that I had taken for granted. Don’t get me wrong — most of them had a working knowledge of the financial terms that they were being measured on; they also had a vague understanding of the overall financial performance of the company. But what was missing was their ability to connect the dots. To connect the dots between their activity measures like sales / costs / operational efficiency and leadership goals like profitability / ROI / EVA. Equally, they were taking decisions on investments (capital expenditure and operating expenses) without the required deep insight into how strategy, execution and financials (numbers) were linked. 1. An MBA is no guarantee that a manager has the required knowledge. Often, what is taught at an MBA is a theoretical / accounting perspective of the topic, without the practical connect to decision making. Even if taught well, most functional managers are not required to use the financial analysis concepts till after a few years of experience, by which time they have forgotten what they learnt. 2. There is a significant translation gap between the finance department and other functional areas. There are few CFOs / division finance managers who have the capability to bridge the language gap; in most cases, finance and non-finance folks are playing on their respective side of the court, lobbing the ball over. 3. Most corporate training programs on “finance for non-finance” are taught from the finance perspective, often by those who have been finance professionals. The language translation issue continues even in the classroom. Worse still, having conducting many 1-2 day sessions on financial acumen, I came to the conclusion that even the programs that I was doing had limited value from sustainably solving this problem. Firstly, the topics that we seek to cover are too complex for anyone to learn in a packed 1-2 day program. While it might appear that learning has happened, most often, it is not retained. Participants go back to their usual work routines, and very soon, forget what they learnt in the workshop. Most management techniques, unless practised regularly, are forgotten easily. Secondly, since this learning involves quantitative and analytical methods, different people adapt to it differently. Some are able to get it quite intuitively, whereas many others require to practice a problem several times before they get the hang of it. In a classroom, the pace is set by the fastest learners – their impatience and/or the packed agenda cause the facilitators to hurry everyone along. Over and above these issues, a classroom workshop is expensive. Generally, more than 50% of spend in corporate training goes to the hospitality and travel industry; imagine, you can cut training budgets by half, or better still, increase learning coverage 2X, if you were able to cut out the travel & classroom. Is there a solution? Of course, there is! Otherwise, I wouldn’t be writing this post :). Our goal is to help managers learn at their pace and convenience, by giving them opportunities to revisit and revise concepts & problems as necessary, without sacrificing (too much) the engagement that is necessary for most management topics. And, by the way, if the participants need live interaction, with the facilitator or other participants, we must be able to provide that too. We have created a program that does just that. Using my experience of teaching financial acumen in the classroom to hundreds of managers across industries, and using the power of technology, we have created an online/blended program that overcomes the deficiencies of the workshop mode, yet retains the power of live learning. We began with the topic of Financial Acumen because I see that as a glaring gap in many organizations’ middle and senior management levels. Over the next few months, we will build a few other programs that are relevant to business managers and taught by experts in those fields. 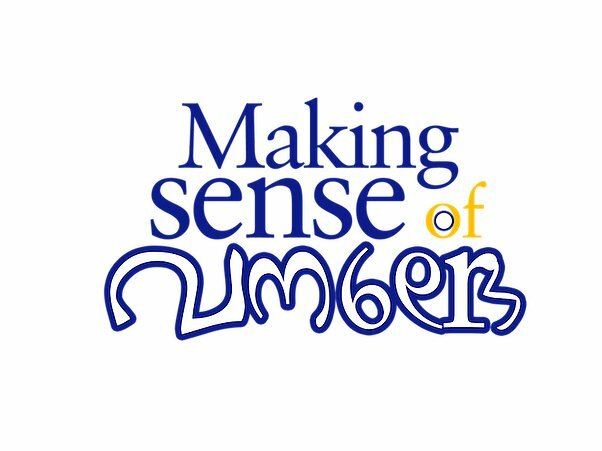 More details of the Making Sense of Numbers program can be found at www.globalgyan.in/msn It is easy for individuals to sign up on their own, or for corporate cohorts to take it collectively. In case you are wondering if you are a target customer for this learning program, why don’t you take a simple test. Check your Financial Acumen at www.globalgyan.net/faq and decide for yourself.